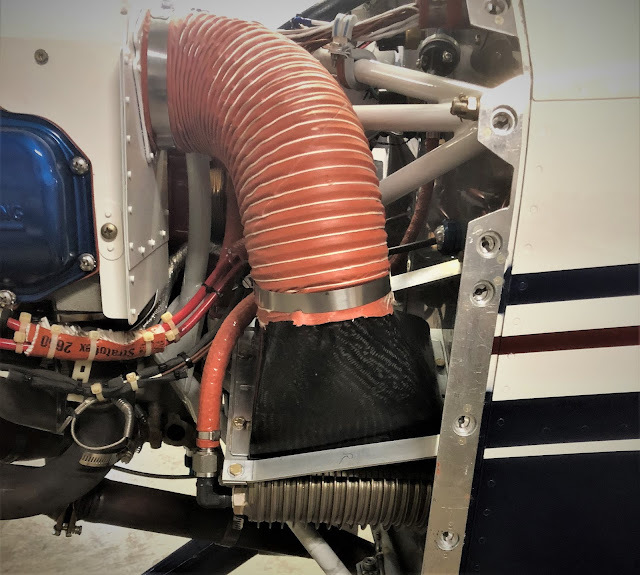 The past week or so I have been busy with travel (4 days in DC) and finishing up the new oil cooler inlet ducting. The duct I had in place on my last post did not fit as nicely as I would have liked (I think I mentioned that) so I created another one and I think it turned out great. I also finished filing, edge deburring, and other related prep tasks for the RV-10 ailerons. Now I can start the assembly process. I'm excited to get the wings completed so I can get to work on the fuselage. I am debating whether or not I should do the wing tips now or later. I am leaning toward doing it now so I can take the wings to the airport for storage. 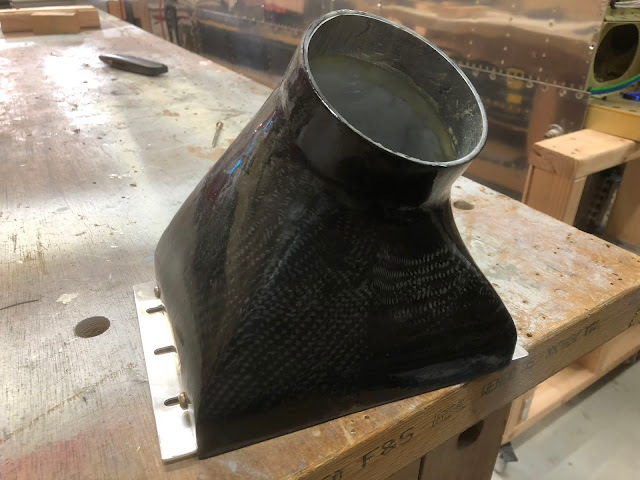 First step was to design the duct using Solidworks. 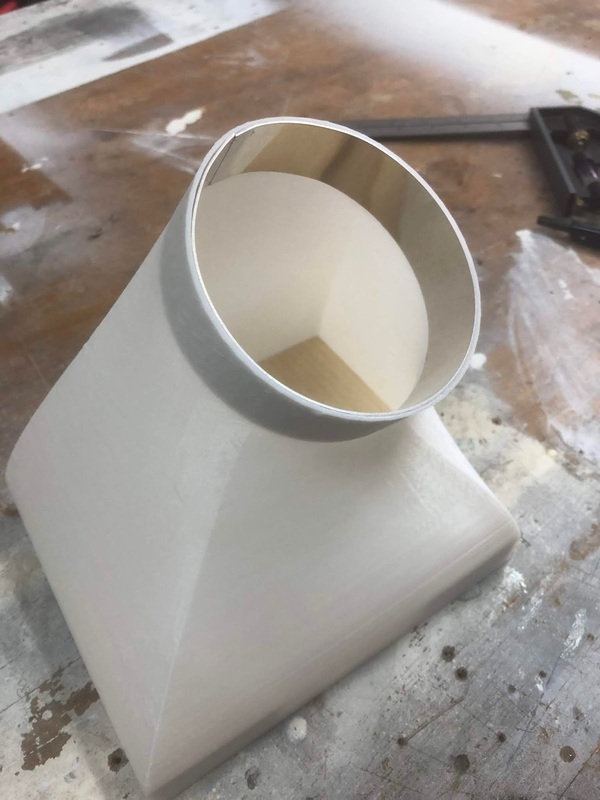 Here is the 3D printed ducting. 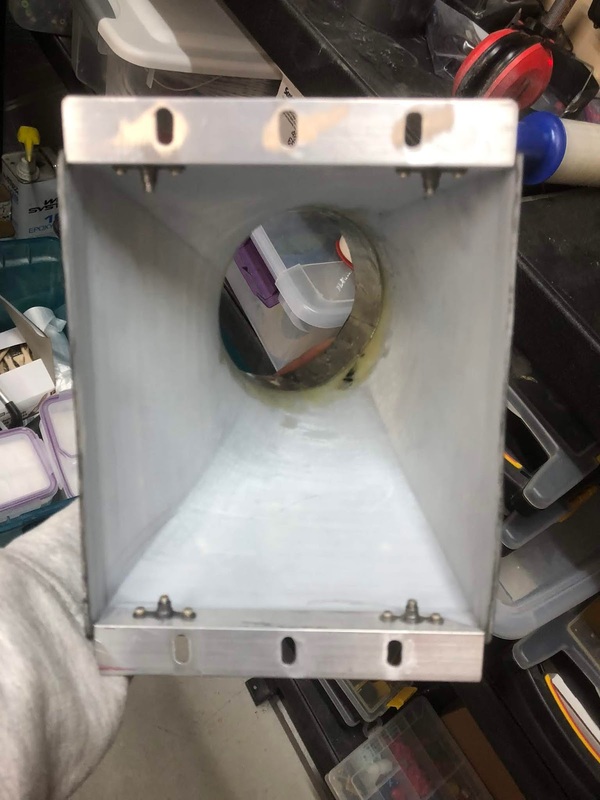 I also added a 3/4" aluminum ring to the inside of the duct to act as a stiffener where the hose clamp will hold the flexible hose to the duct. 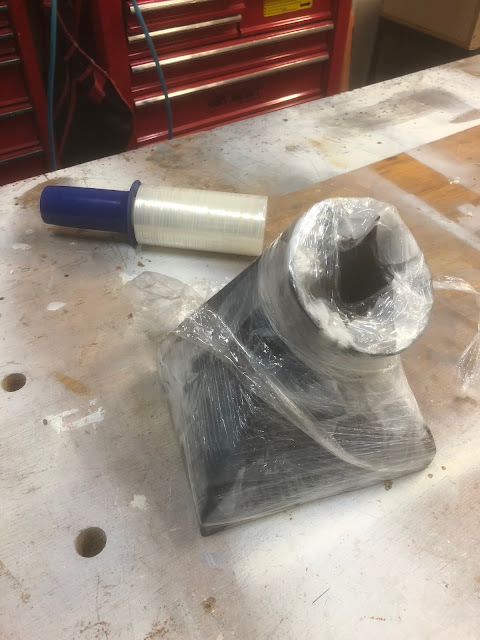 Next step was to wrap a couple of layers of carbon fiber cloth around the duct and use some "poor mans vacuum bagging" (shrink wrap) to keep the cloth attached to the contours of the duct. One note of caution if you ever try to use this method; put some peel ply over the carbon fiber before you start to wrap. Without the peel ply the plastic tended to stick and not all of the excess epoxy was removed. Here is the finished product after a little sanding and adding a final thin coat of epoxy. Not bad. And here is the inside of the same duct. Notice that I put a little flox up under the aluminum ring to try to keep it in place. Also, its a good picture of the new mounting brackets that I made out of aluminum angle. I installed a couple of nut plates on each one so I could attach the duct to the top of the oil cooler. Here is a side view of the duct after bolting to the oil cooler. Front view so I can verify it won't interfere with the cowling. 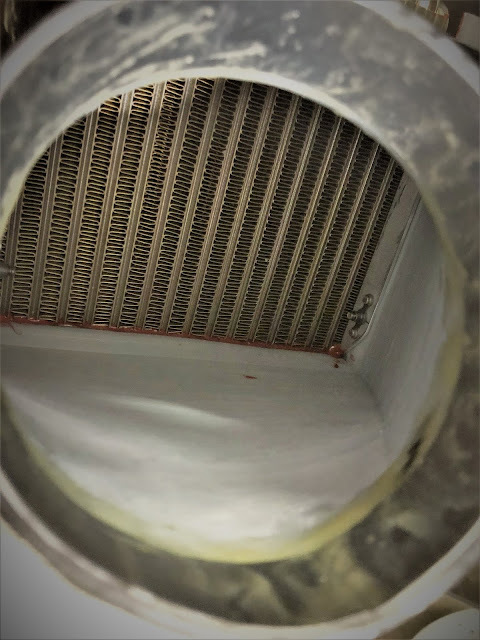 Inside view of the duct after bolting to oil cooler. You can see a little bead of red RTV on the bottom edge of the duct. This keeps all of the air going through the cooler. Ah yes...finally a 10 picture. Here is the left aileron leading edge as I am in the process of drilling the holes in the stainless steel counterweight. 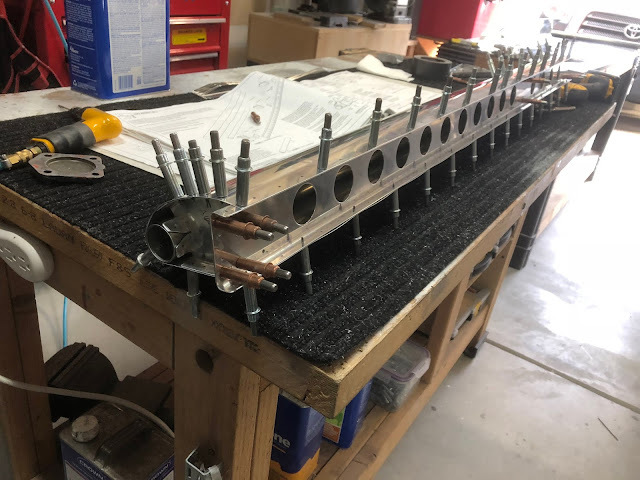 Its hard to see but the counter weight is the 1.3875" tube that you can see the end of where the copper cleco's are in the middle of the picture. There was recently a post on VAF about the timing of when to fit the wingtips. Carl F said to wait until the wings are on and rigged so that you can precisely line up the wingtips with ailerons at neutral. Seemed to make sense to me, so I'm delaying putting on the tips. Something to consider. Yea, I saw that post. When I was building my 9A I waited until the end and still had to split the trailing edge and re-align them. 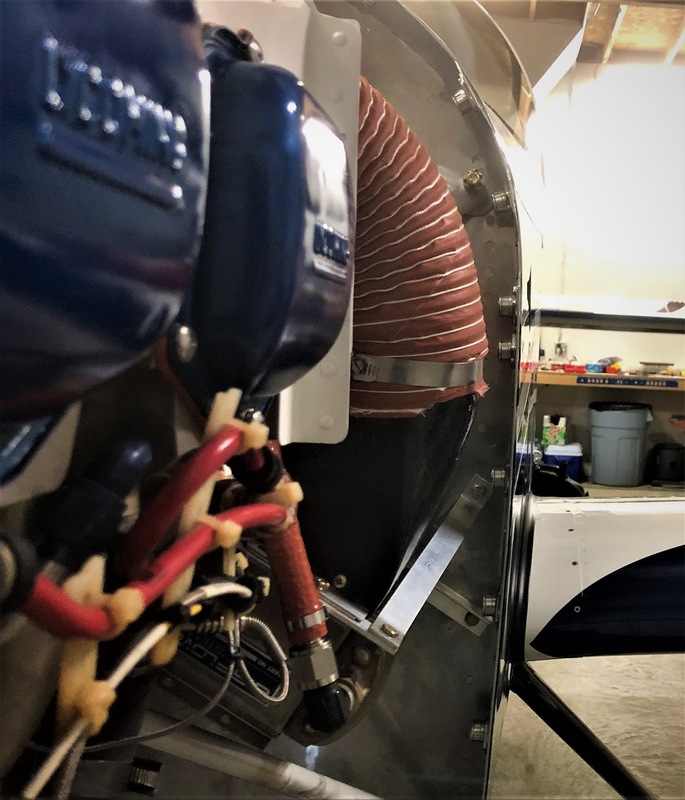 I still haven't made up my mind but unfortunately it won't be nearly as easy to do once I have the airplane at the hangar because I have to drive so far to get to the airplane to do any work. Thanks for pointing that out though.